Introducing Quirky Circuits, the game of robot programming silliness from acclaimed designer Nikki Valens! Two to four players help program a robo-buddy to complete a task before its battery runs out. But be warned, nobody knows what cards the other players have contributed. With 21 scenarios of increasing intensity, Quirky Circuits is guaranteed to provide hours of brain-bending fun! Players place programming cards face down, only knowing what types of cards their friends have played - movement, turn or quirk. Quirk cards must be played before a player uses any other card in their hand and every player must play at least one card per round. 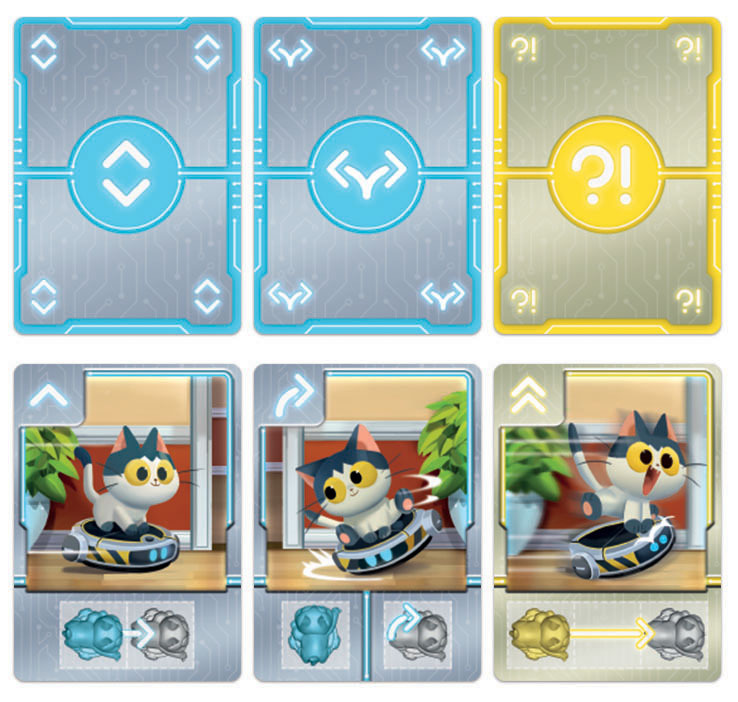 Using deductive reasoning, all players will move the robo-buddy around the board, trying to complete its mission!